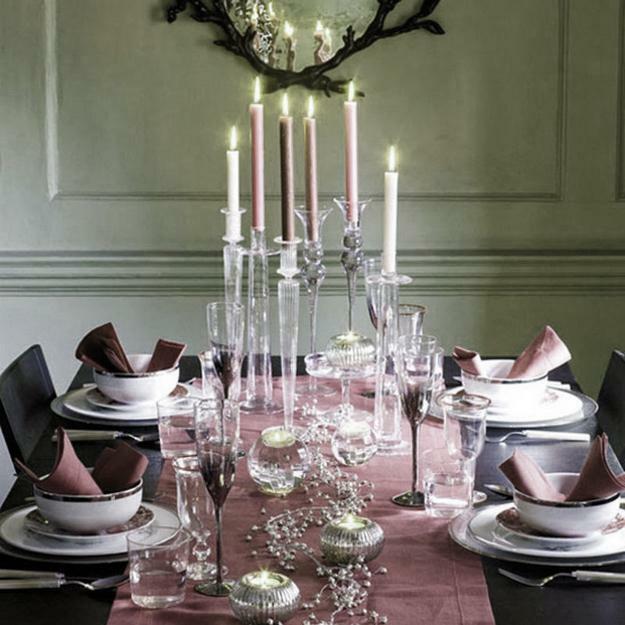 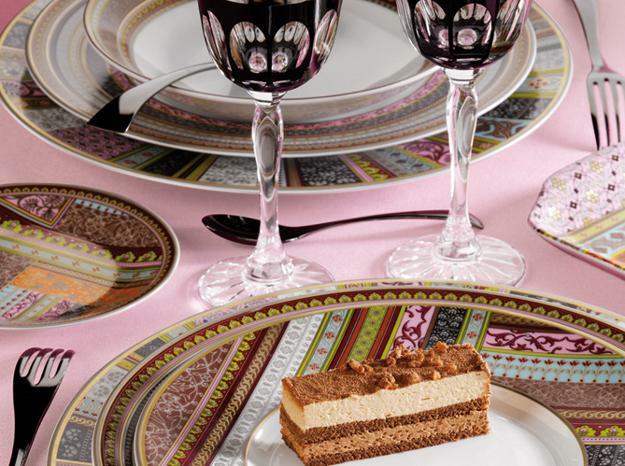 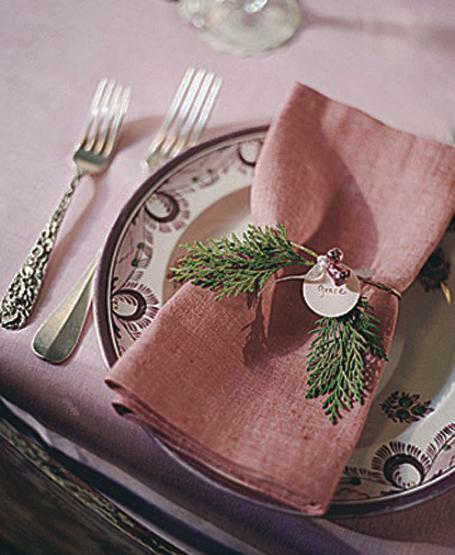 Pink is one of the most ubiquitous and versatile Christmas colors that are perfect for elegant table decoration. 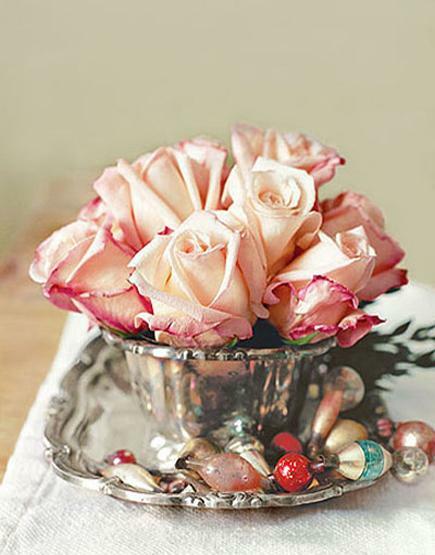 The tender, pale pink color is light and beautiful. 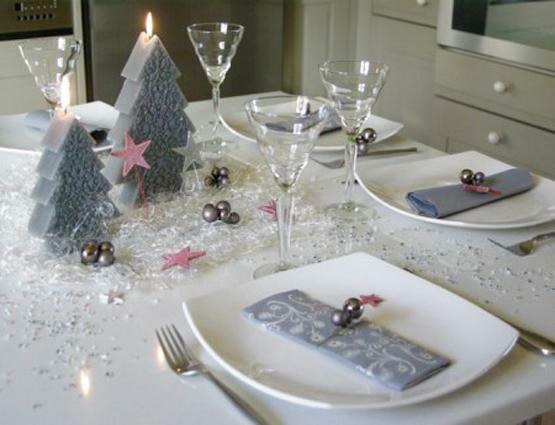 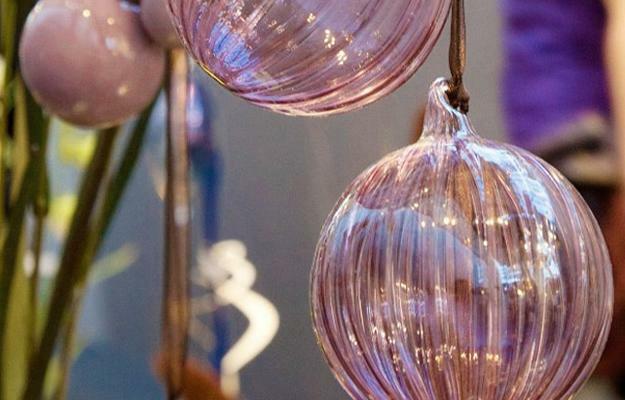 It works well with white Christmas decorating ideas and gives a feminine touch to purple and blue tones. 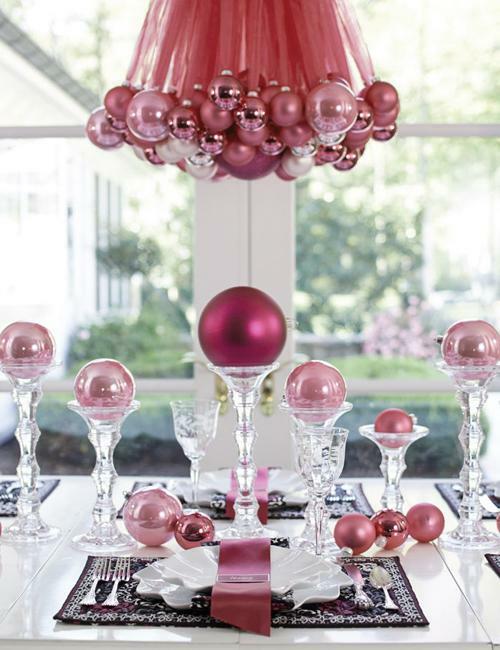 The popularity of pink quickly reached mainstream status and defined one of the color trends in the design world. 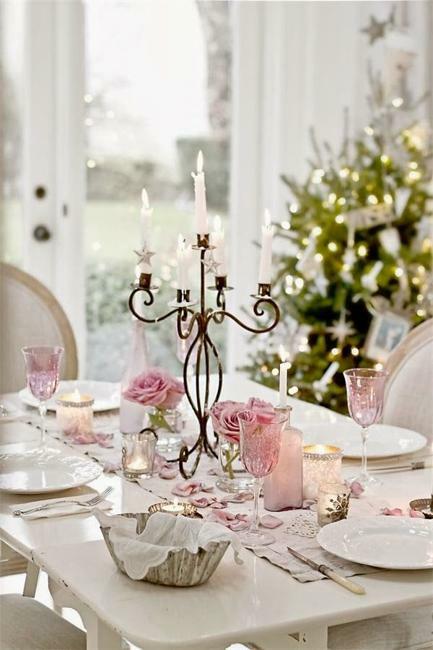 Christmas table decoration with soft pink pastels looks sophisticated and elegant, blending lightness and feminine charm into holiday decor. 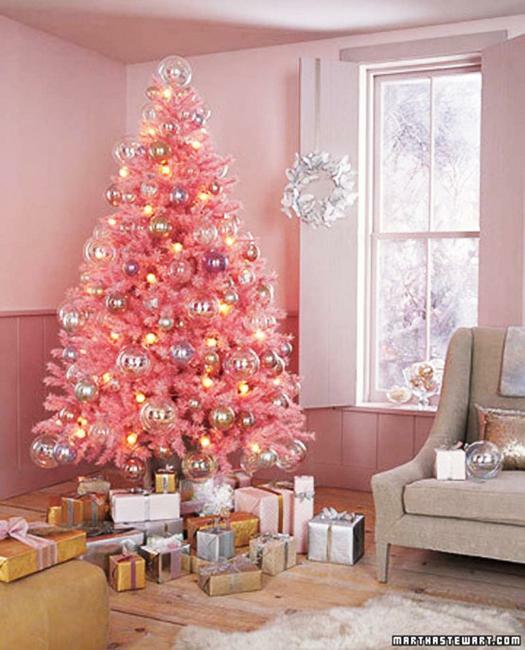 Pink and white Christmas palette includes stylish pale pastels, bubble-gum tints, and rose pinks. 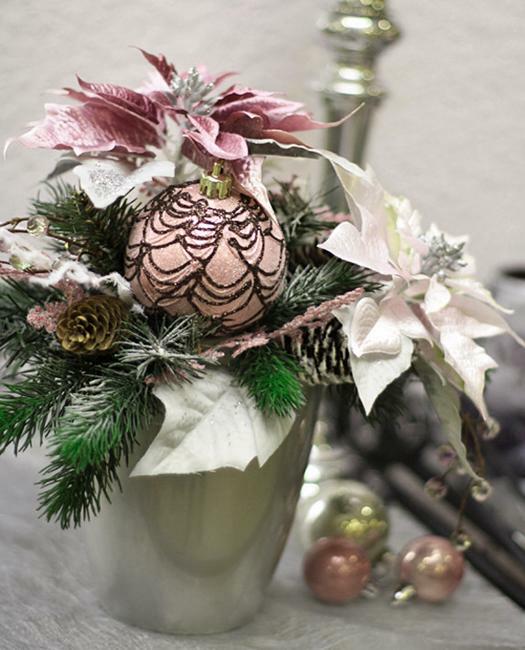 All these pink hues create beautiful Christmas color combinations with crispy white and creamy white shades, gray color tones, silver, lavender, and all natural green colors. 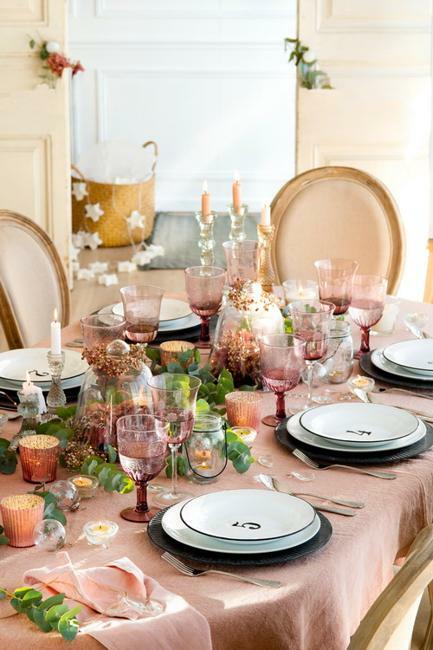 The Millennial Pink stays a hot color for decorating winter holiday tables. 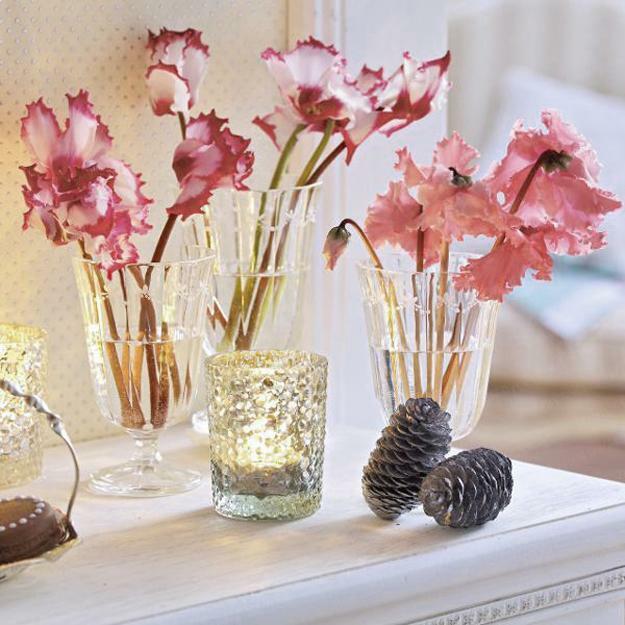 Pale pink is tender and elegant. 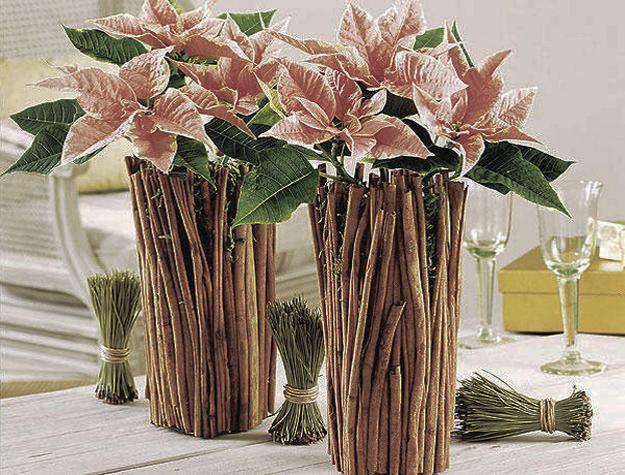 It is versatile and beautiful. 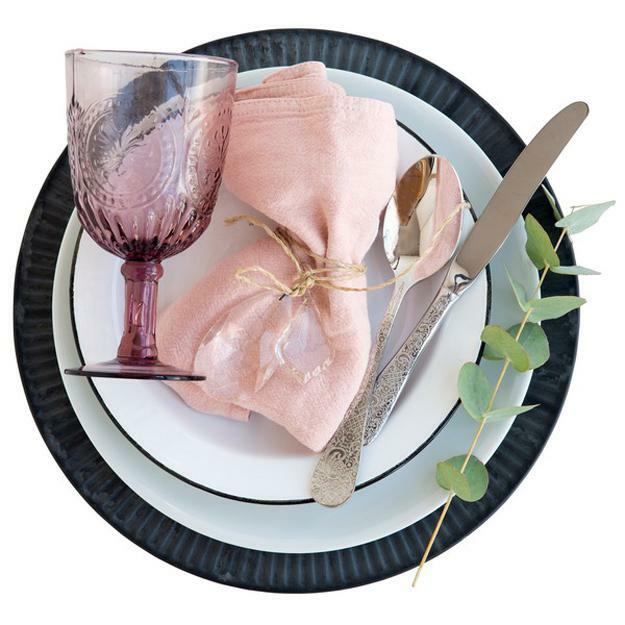 Pale pinks transcended traditional gender connotations to become almost a neutral color. 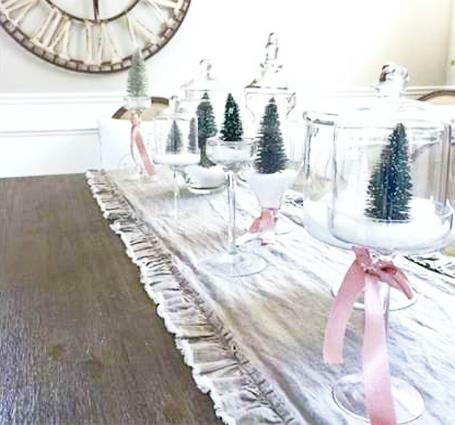 Combined with whites or silver gray tones the pale pink tones bring softness into winter holiday decor and give a sophisticated look to table decorations and centerpieces. 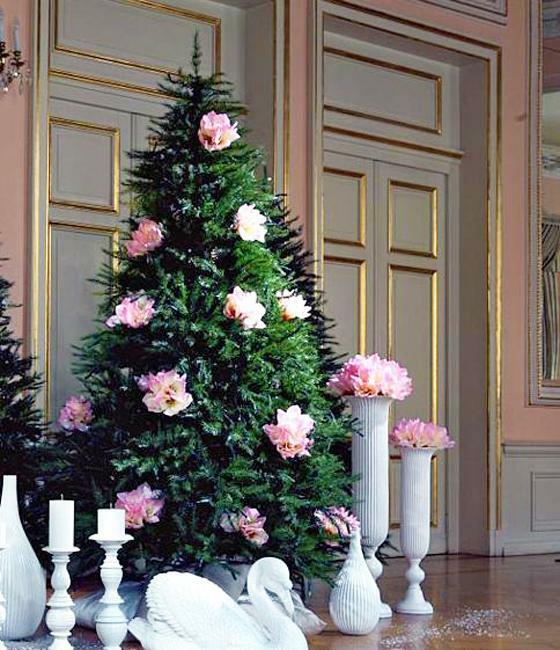 Light pink pastels which developed more power than ever before are excellent Christmas colors that reflect the trends in decorating and design. 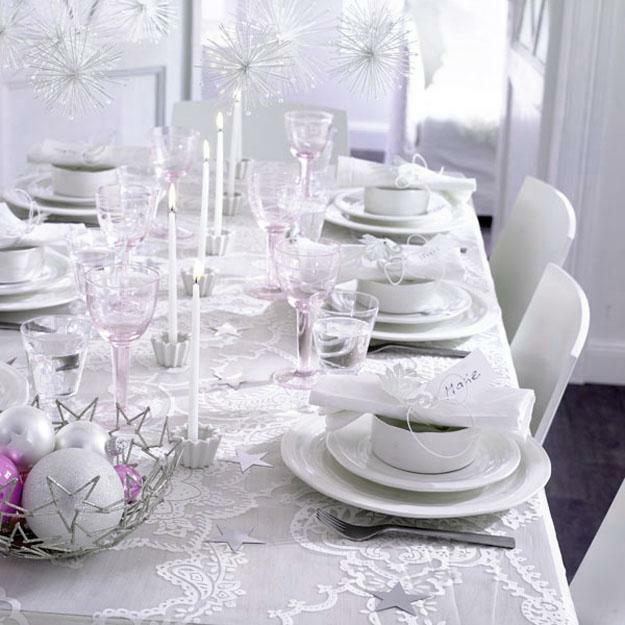 Serenity colors, blended with whites and grays create universally appealing color combinations for welcoming, bright, and festive holiday tablescapes. 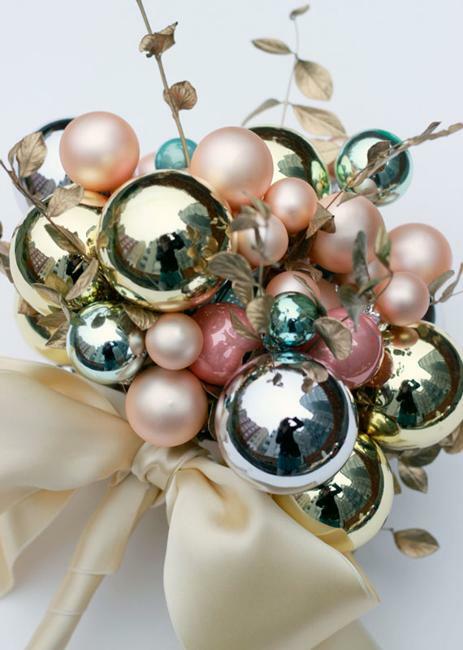 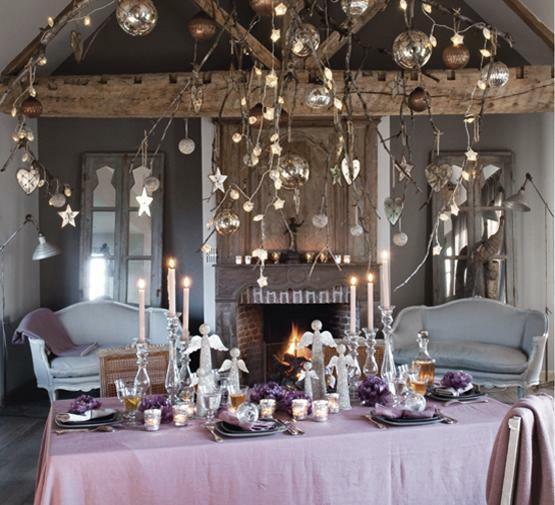 In Christmas decorating a pale pink pastel can be a statement color and an alternative neutral also. 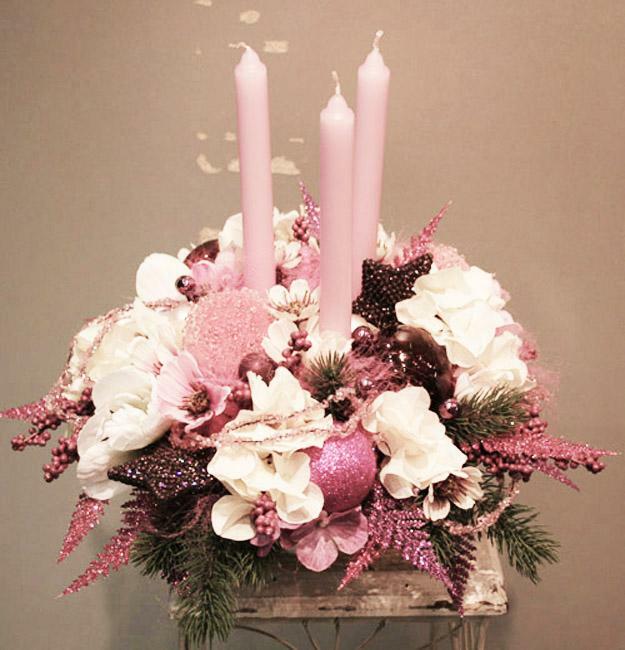 Tender pink tones can bring warmth and make Christmas decorating feel cool and crispy. 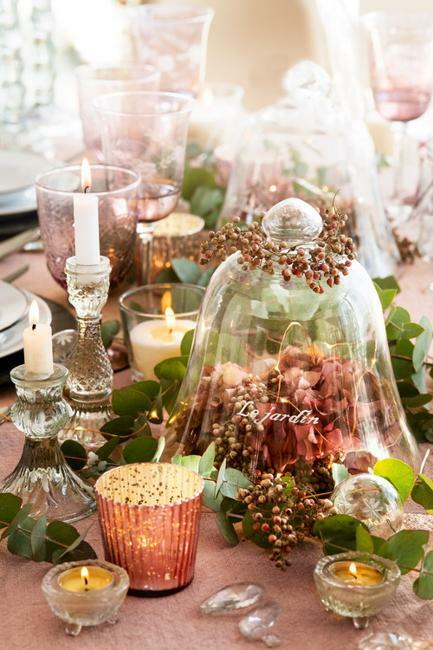 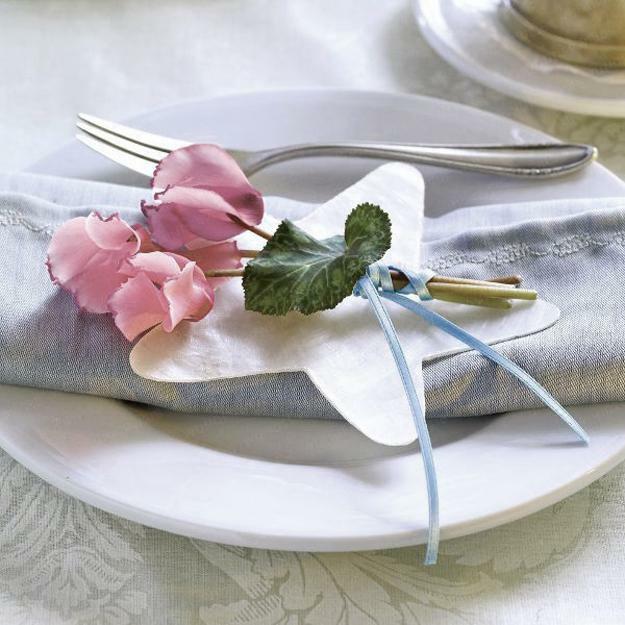 Check out the collection of ideas and stylish table decorations and centerpieces. 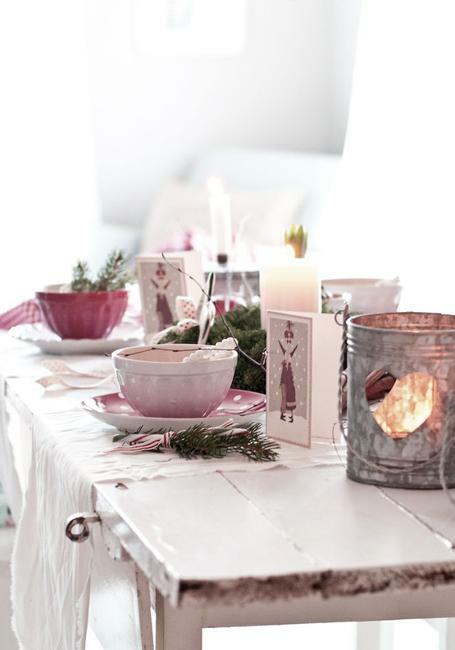 Get inspired by the gorgeous, tender, and beautiful pink pastels. 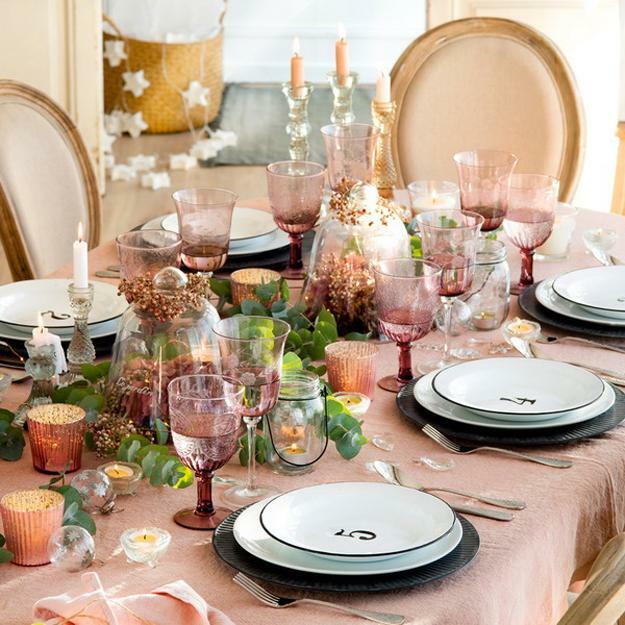 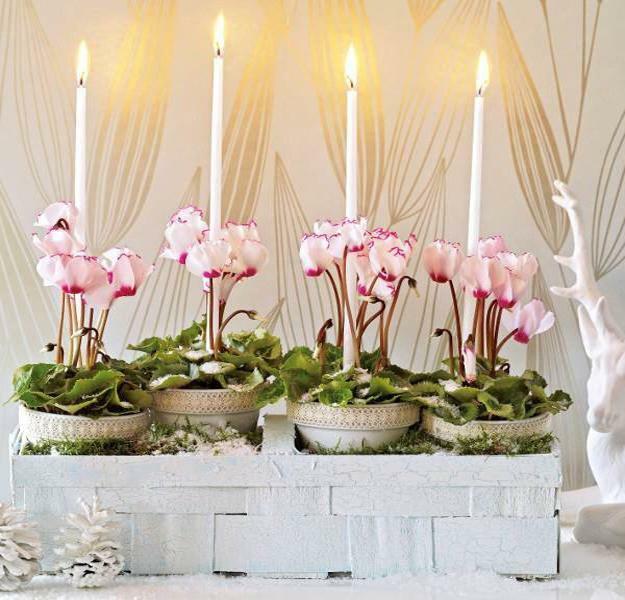 Experiment with your table decorations in pink and create a fresh, beautiful, unique color combination for your festive and beautiful winter holiday decor.